Even the kiwis are French! I am a real foodie now! I’ve started buying locally and seasonally. Farewell, sweet bananas and pineapples from faraway. See you sporadically! However, I made a recent discovery. Over Christmas vacation, we spent a few days at a friend’s cottage in the mountains near La Cévennes. The only fruit in the house were tiny kiwis no bigger than my thumb. And they were local, harvested just nearby. 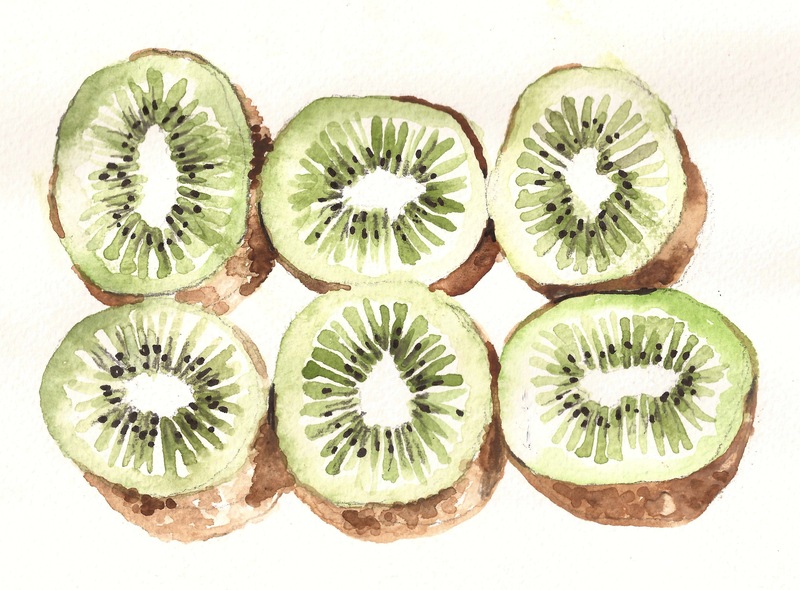 I always assumed that kiwi’s acidity and zippy vitamin C meant their origins were more tropical than domestic. But as winter fruit, they add a bit more variety to the apples, clementines, and grapefruits that fill the colder months. But since Spring has sprung, I should scrap this watercolor. It’s completely out of season! Does this discovery come as a surprise to you, too?